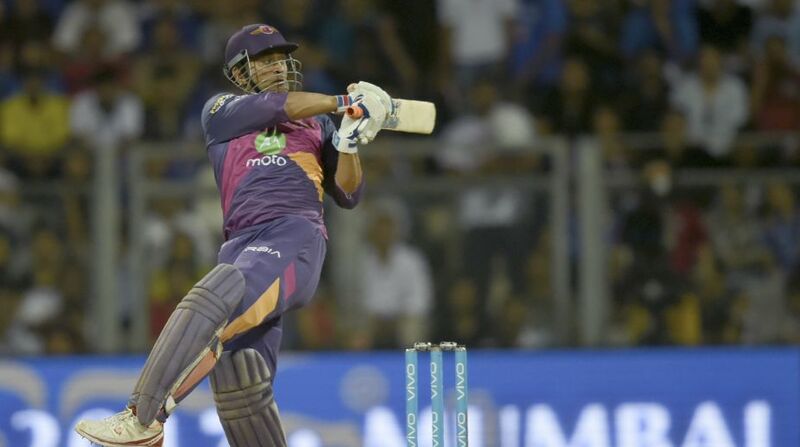 Dhoni scored unbeaten 40 runs off 26 balls to lift RPS' total to 162/4 in their allotted 20 overs. Former Australia skipper Michael Clarke hailed MS Dhoni for his aggressive batting display that gave Rising Pune Supergaint an edge over Mumbai Indians in the first qualifier match of the Indian Premier League (IPL) at the Wankhede Stadium in Mumbai on Tuesday. "Once a FREAK always a FREAK! MS Dhoni on," Clarke said in a tweet, after watching Dhoni's fireworks that included five sky-touching sixes. Former India pacer Mohammad Kaif also heaped praise on the wicketkeeper-batsman for his daring-dos at Wankhede. "The risk that Dhoni takes in taking it till d end &exploding in d last few balls&consistently succeeding in this model is incredible," Kaif tweeted. Ex-cricketer Aakash Chopra wished Dhoni after his team outclassed Mumbai by 20 runs to carve their way to the IPL final. "Seventh #IPL final for #MSDhoni in ten seasons. Rose to occasion, once again. Take a bow, master. #MIvRPS," the former opener said.